Take part in Suffolk County Police summer programs including a teenage driver safety course, a fishing trip, volunteer to become a Suffolk County Auxiliary Police Officer, summer sports camps, and more! Suffolk County, NY - June 23, 2015 - The Suffolk County Police Department is offering a teenage driver safety course entitled “Crash Course in Crash Avoidance”. This one day, two hour course is taught by expert police EVOC (emergency vehicle operation course) instructors. Classroom instruction will be followed by a live demonstration on the police EVOC course. Topics of instruction include vehicle dynamics, braking, cornering, acceleration and crash avoidance techniques. Teens 16-19 years of age may apply. Session will be held August 3-7th, either 9:00am-11:30am or 1:00pm-3:30pm (choose one date and one time). Free of charge. For registration contact Jeanne @ 631-852-6109 or email. Enjoy a four hour PAL fishing trip from Captree Boat Basin aboard the Princess II charter boat this summer. Fishing pole and bait will be provided, plus cleaning of fish for kids. Adult supervision will be furnished by the PAL. Dates include: Wednesday July 8 and July 15, August 5, 12, 19. Cost $15.00 per child. For registration contact Jeanne @ 631-852-6109 or email. Become a Suffolk County Auxiliary Police Officer. This volunteer program is available to residents of Suffolk County at least 21 years of age. 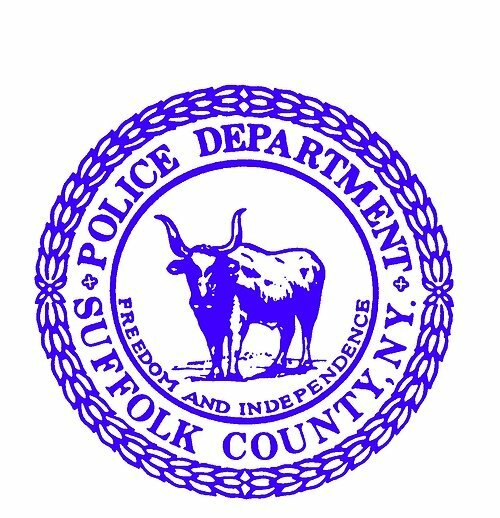 The Auxiliary Police provide support to the Suffolk County Police Department serving as the “eyes and ears” of the department while patrolling. Candidates must dedicate 10 hours of service each month. 120 hours of training will be provided free of charge. Applications are available by clicking here or call 631-852-6355. Suffolk County PAL is offering a Swim for Survival instructional program for children 5-10 years old who have no swimming experience. This program is designed to teach basic water survival skills to children in a short period of time. Certified instructors from St. Joseph’s College in Patchogue will provide four (4) 45 minute sessions at the St. Joseph’s College pool, 155 West Roe Boulevard, Patchogue. Dates: July 9, 16, 23, 30. Choose session one: 5:00-5:45pm or session two: 6:00-6:45pm. Cost $20 total. For registration contact Jeanne @ 631-852-6109 or email. Suffolk PAL summer sports camps. Football training camp for kids 7-14 years old, June 29-July 3, 8:45am-3:00pm at the PAL complex 700 Furrows Rd., Holtsville. Additional information and registration @ www.scpalfootball.com. Lacrosse training camp for children in 1st grade through 8th grade. July 20-July 23, 3pm-8pm at the PAL complex 700 Furrows Rd., Holtsville. For additional information, please click here. John M. Kennedy, Jr. and Nesconset Chamber of Commerce to Host Food Drives at 2014 Summer Concert Series to Support Long Island Cares, Inc.
Subject: LongIsland.com - Your Name sent you Article details of "Suffolk County Police Summer Programs to Include Teen Driver Safety Course, Swim for Survival Program, and Fishing Trip"